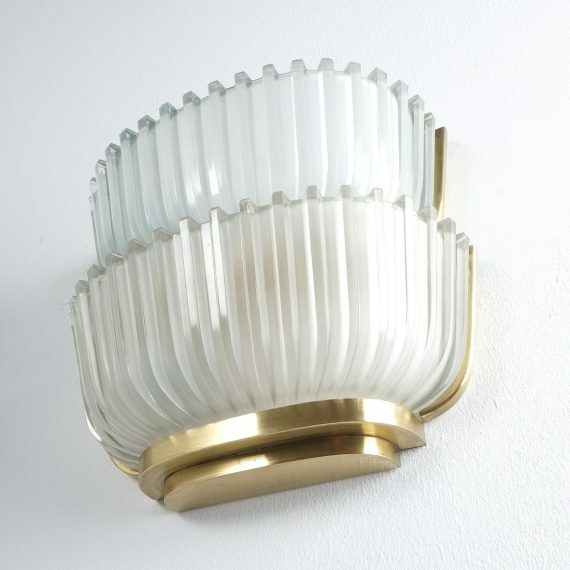 Art Deco. 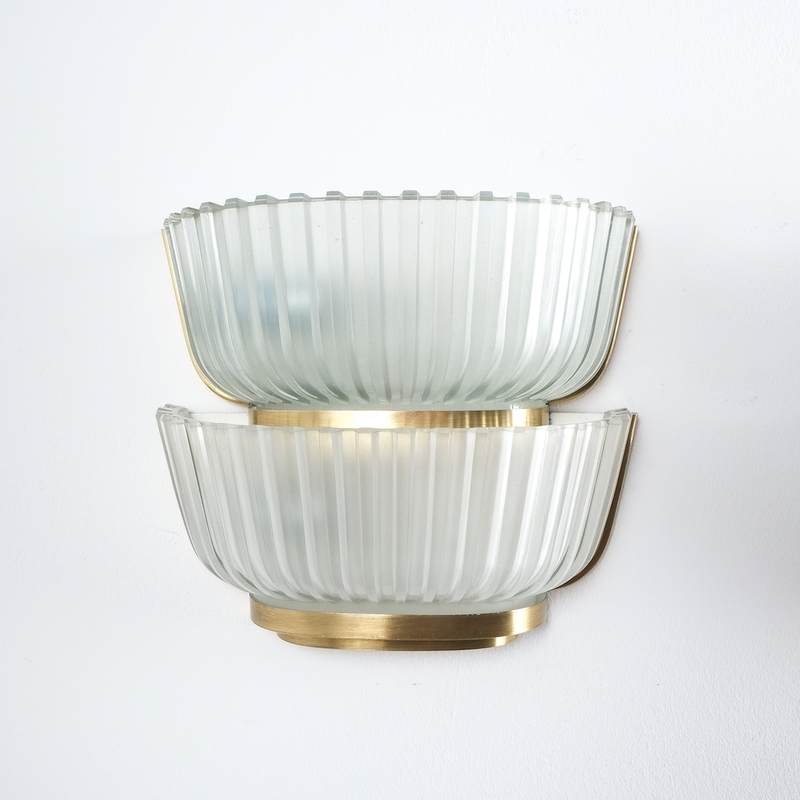 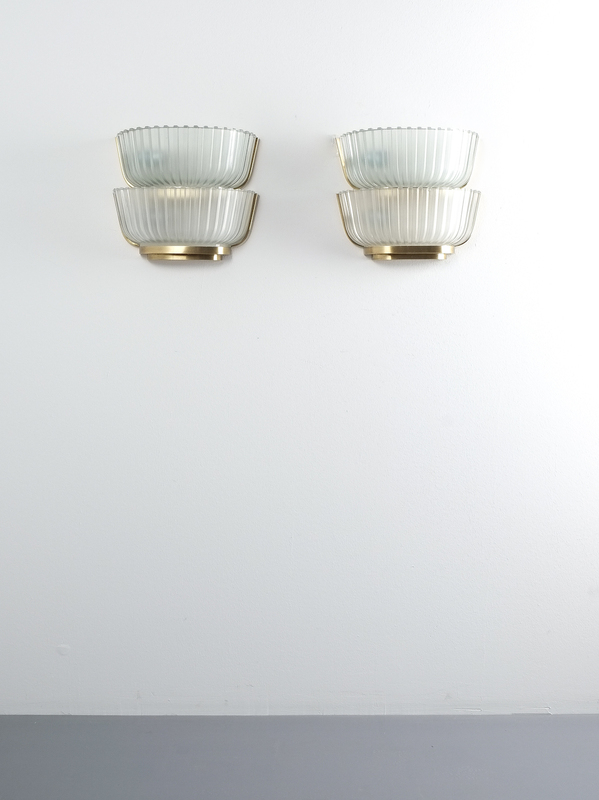 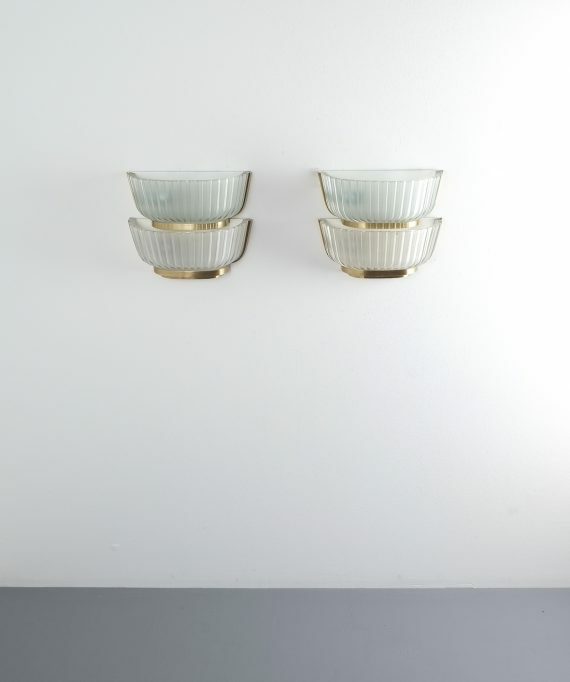 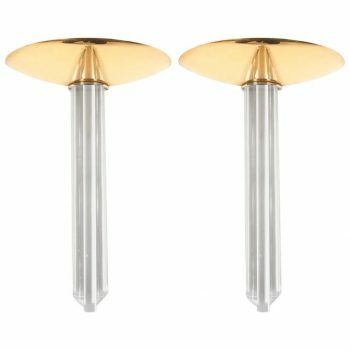 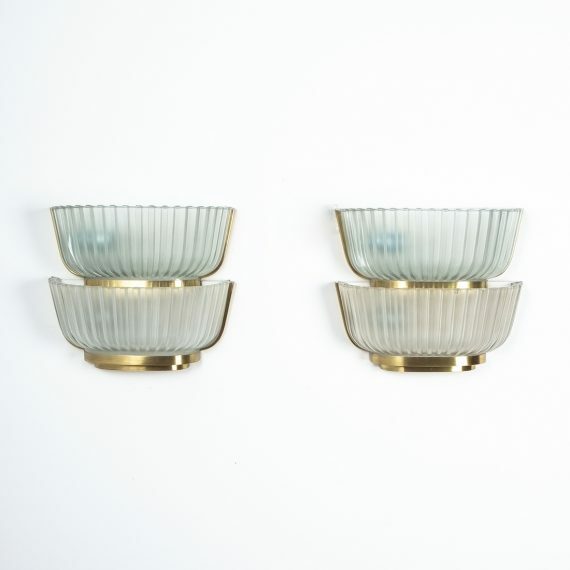 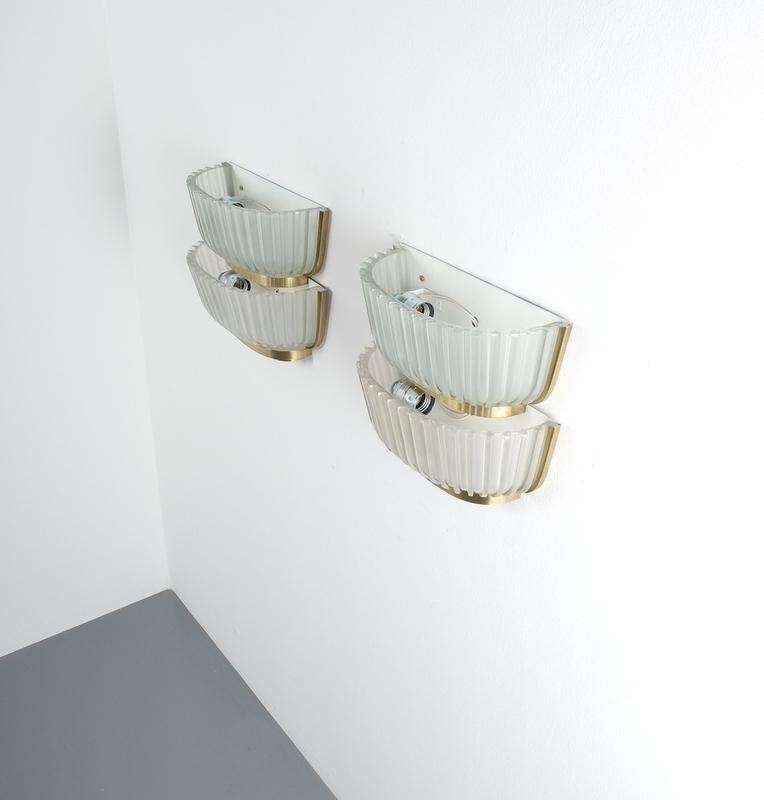 Pair of late Art Deco glass and brass sconces refurbished, Italy, circa 1940. 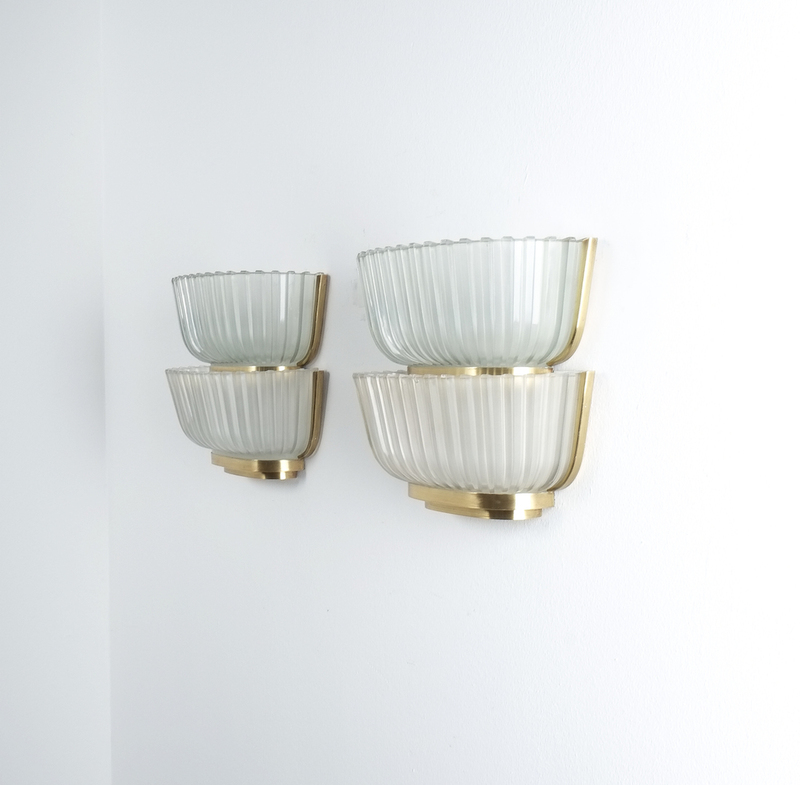 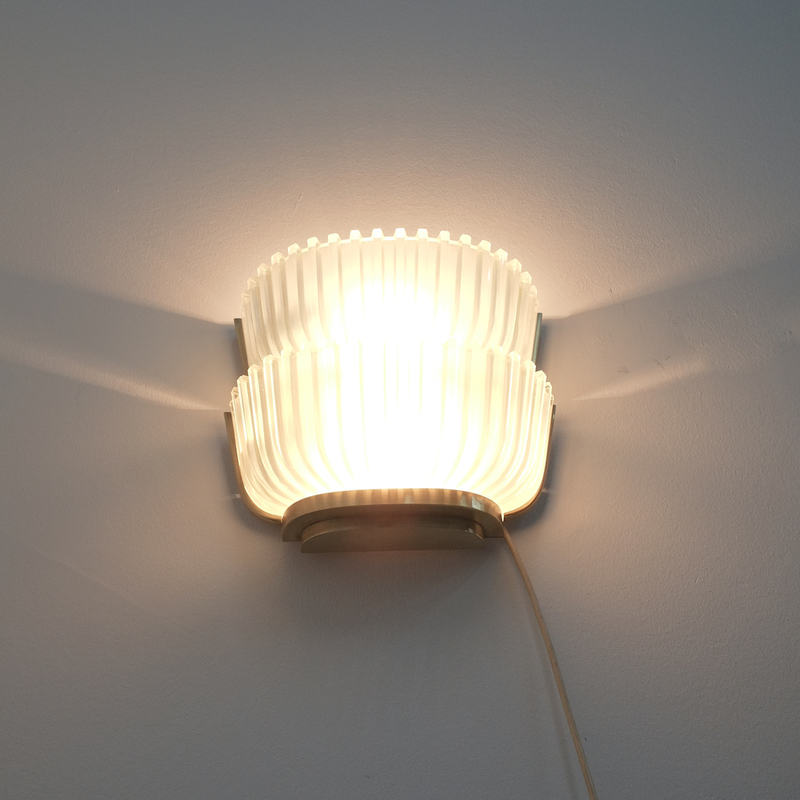 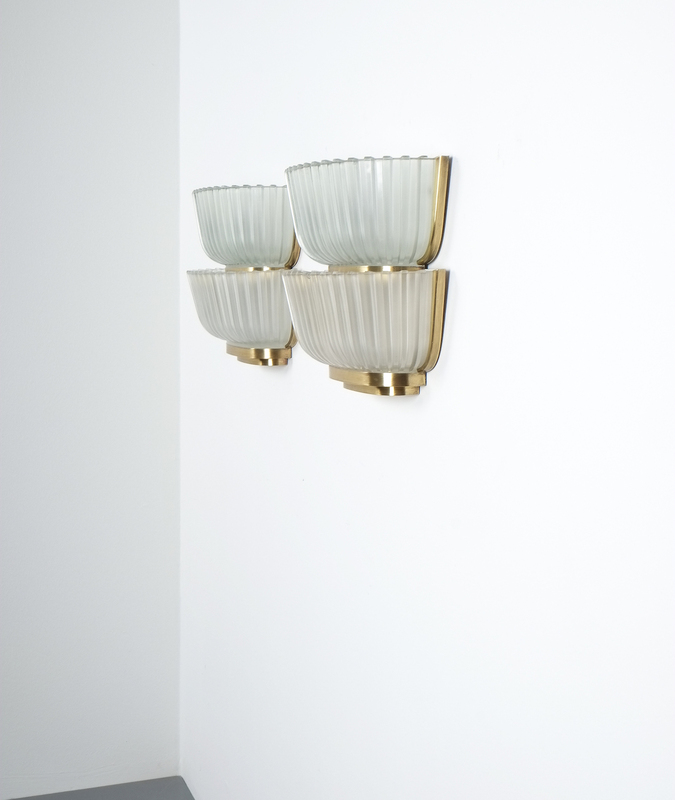 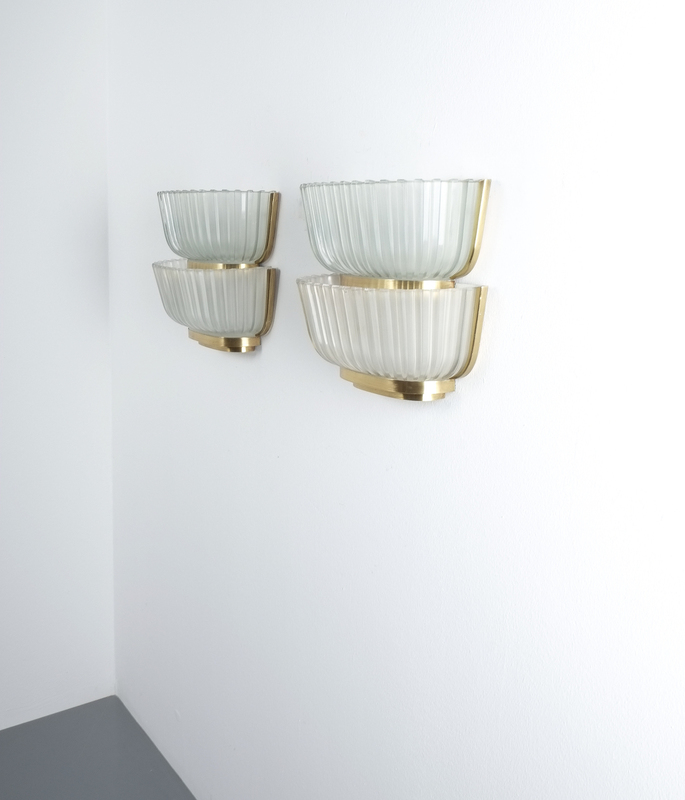 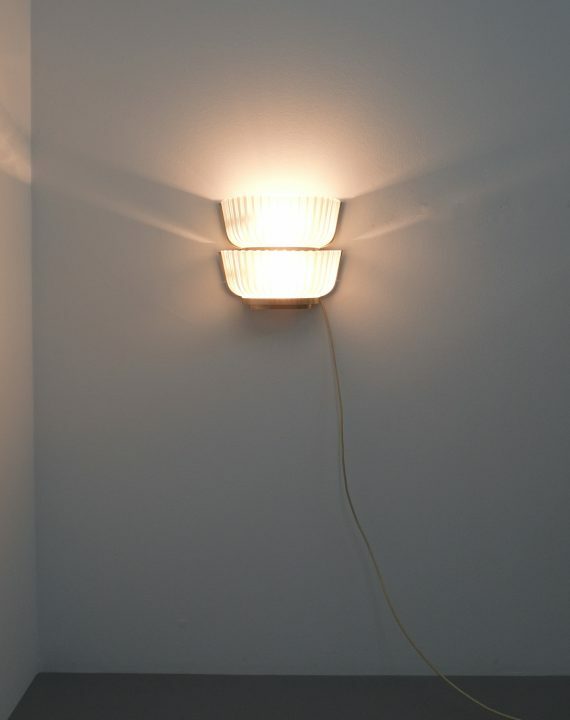 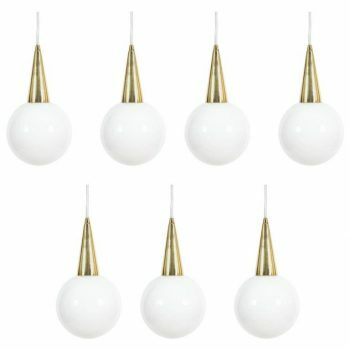 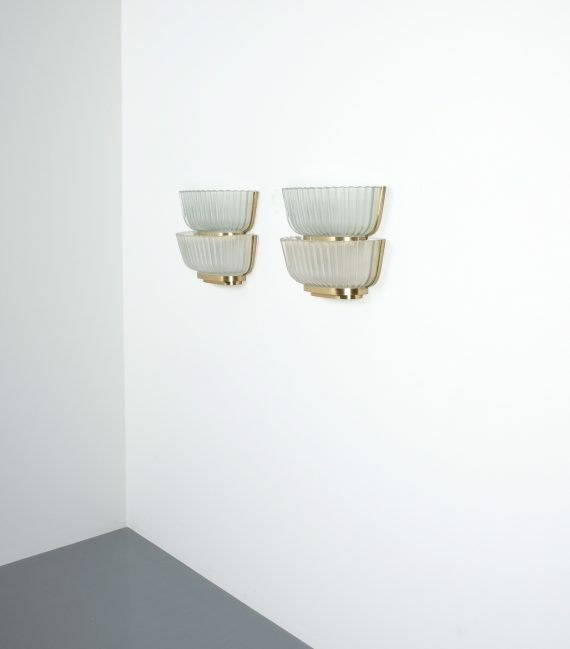 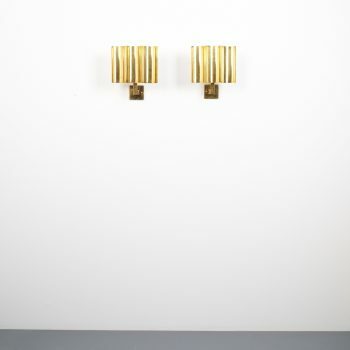 Featuring 2 thick molded glass screens or shades per light and a backplate made from brass and lacquered metal these wall lamps are perfect for any hallway or situation where a symmetrical effect is desired. 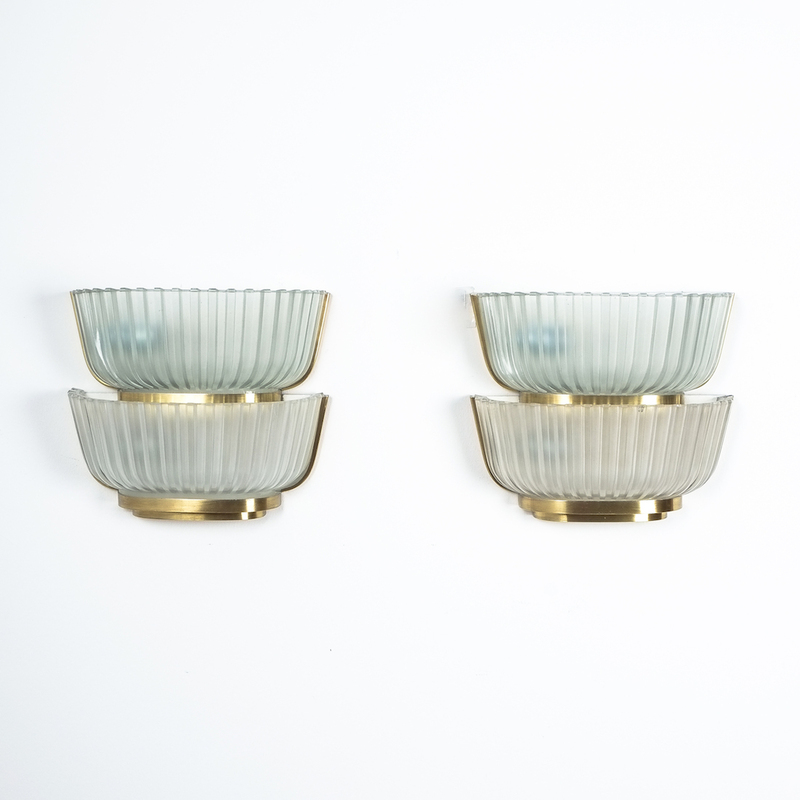 Very elegant pieces which have been refurbished (newly painted backplate, rewired and polished). 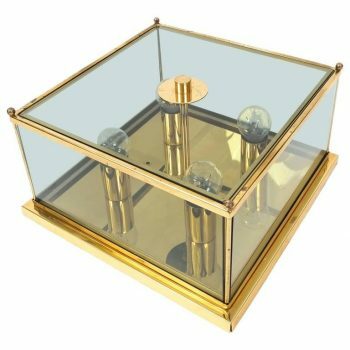 Dimensions are 11.81″ (H) x 12.4″ (W) x 5.11″ (D). They are in good to excellent condition and feature 2 large bulbs per light (e27, 60W max- 120W per light).